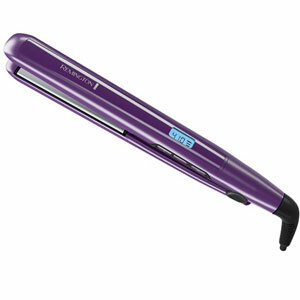 Why is the Remington S5500 Hair Straightener so Effective at Straightening Hair? Are you one of those people that only like to straighten your hair occasionally? Then you certainly don’t need one that costs over $100. You do however need one that works well when you do go to use it. We have searched around for that and believe we might have found an unbelievable flat iron bargain. 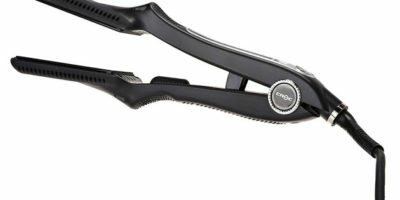 It’s called the Remington S5500 Digital Anti-Static Ceramic Hair Straightener. Read along as we review this ultra-affordable flat iron that also works pretty good at straightening your hair. This budget-priced flat iron works pretty well considering what you pay for it. You wouldn’t expect to find features such as a wide 300ºF – 410ºF working temperature range on a straightening iron in its price class. 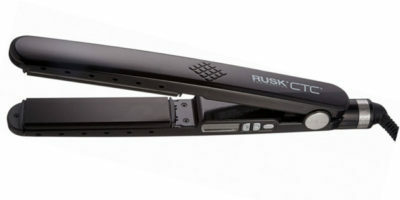 It makes this a versatile flat iron that can handle straightening many different hair types. It has anti-static plate technology that will help protect your hair and help keep it looking sharp after you straighten it. The 1-inch plate width is great for both straightening and curling too. For an inexpensive flat iron, this Remington product is very easy to use. It features such conveniences as a turbo heat boost to flatten stubborn hair patches, a temperature lock so you can’t hit it accidentally and a hinge lock for travel. These little things also add to any flat iron user’s good experience. There are a few things that make this flat iron very good at straightening your hair. One of them is its anti-static plates. They are mineral infused so they help hair retain its critical moisture and they also help cut down on such undesirables as spilt ends, frizz and flyaway hair. Another big deal is the wide temperature range this straightening iron has. You can safely straighten many different hair types with a 300ºF – 410ºF heat setting range. A setting like 300ºF is great for fine or thin hair. Higher heat settings like 410ºF can handle the tough task of straightening coarse and thick hair. For a straightening iron in this price range, the warranty this Remington flat iron has is very generous. When you purchase it Remington will back up that purchase up with a 2-year limited warranty. We did feel there were some things that needed improving with this curling iron model also. First of all, the digital display is poorly backlit and can be really hard to see sometimes. It kind of defeats the purpose of having a nice digital readout. A few of us also thought it was curious why Remington put a travel feature on this flat iron like a hinge lock, yet they did not make it dual voltage compatible. This is something for Remington to consider in the future. We feel the words ‘not bad at all for the price’ aptly describe this budget-friendly straightening iron. Those of us here certainly did not expect to see so many good features on an inexpensive flat iron. It can handle straightening a wide variety different hair types thanks to its wide temp setting range and its anti-static plates. Even the little things on this flat iron work nicely. 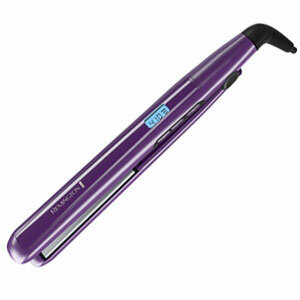 The Remington S5500 Hair Straightener is a nice buy for the occasional flat iron user.